Fly Fishing for Apache Trout in the White Mountains of Arizona area is a unique and unusual experience. Come one, come all, Arizona has them all! Fishermen and women of all ages can enjoy fishing all year long in the White Mountains. The avid angler is usually out to catch many species of fish, but the Apache trout is special! When you are Matching the Hatch with artificial "flies", you are sure to haul in a sizable catch! When you go to fish in any of Arizona’s lakes or rivers, you must have a valid fishing license. If you are going to try to get your fill of trout, then you must have a trout stamp on your license. You can purchase a “two Pole” stamp on your Arizona Fishing license, and that will allow you to fish with two poles simultaneously. Are you up for the task? Pack your bags and head out for Arizona today! The Apache is the state fish of Arizona. Just like all other trout, it feeds on smaller fish and invertebrates. Many of the lakes in the White Mountains of Arizona will permit “Catch and Release only.” What fun is that?" you ask. It’s the sport of fishing that counts. I would never catch my fish to eat. I always threw them back so their life could continue. With, me, I just received the pleasure of knowing that I could actually catch the fish! If you are fishing on Indian lands, there are certain provisions for anglers to take a limited number of these trout. The White Mountains of Arizona are situated in the two million acre Apache-Sitgreaves National Forest in Eastern Arizona. They contain headwaters of several Arizona rivers including the Black River, the Little Colorado River, and the San Francisco River.White Mountain Streams fish well for the fly fisher. Not to repeat myself but, make sure you Match the Hatch. How? Check under the rocks to find the nymphs or watch the air fill with newly emerged insects. Matching is half the fun of catching. West Fork Black River – Fishing is very good here. The campground was just stocked with catchable size Apache trout and will be stocked again the first week of August. Are you ready to go? You can also try your hand at some wild brown trout which are swimming around in the lower portion of the river. What should you use to try to catch these kinds of trout including the Apache? You can try worms, small lures like spinners, salmon eggs, and flies like peacock ladies. You can also try wooly worms, pheasant tails, prince nymphs, and zug bugs as well as caddis imitations. East Fork Black River – Here, again, fishing is good. Last week this river was stocked with Apache trout just waiting to be caught, and the river will be stocked again next week. Better hurry now. Time’s a wastin’! Throughout the river you can also haul in some wild Brown Trout. You can try the same kinds of lures that were listed above. Do you have something better on your list? Little Colorado River Greer – The fishing is good here, but it won’t last forever. It’s time to pack your bags and head on down to the White Mountains of Arizona to try to catch your fill of Apache trout! This river was stocked just last week with catchable size Apache trout and sizable fish will be thrown in this week. You can try the same lures that I mentioned above unless you have something better! 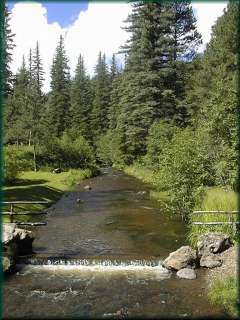 Silver Creek – In this area fishing is fair to good. The stream is clear and it was stocked this past week with catchable size Apache trout. Part of the creek is now open to bait fishing until Sept. 30. The upper section of the creek is closed to fishing. I like to come back from an exhausting day of fishing to be pampered at a great lodge. You may feel they same. If so, check out some of these places to stay when you visit the White Mountains of Arizona. What are you waiting for? Head on out to the White Mountains of Arizona and have some fun in the sun while you fish and relax!